But more importantly than that, Chester French released one of the most exciting and ambitious pop records of the year. Growing up on '60s Britpop, '70s singer/songwriter melodies, '80s synth pop and '90s rap and hip hop, Chester French is part of a whole new generation of pop artists who mix and match a whole lot of genres into something new. Perfect fare for the kids of the iTunes generation who don't limit themselves to one sound when putting together their playlists. Combine their musical instincts and love for the classics with a heavy dose of pop culture savvy, an impeccable style and genuine coolness, and what you have is something that is truly invigorating and totally unexpected. In other words, the GRAMMY-worthy "Love The Future" has something for everyone. Exactly what good pop music is supposed to do in my opinion. I've championed Chester French throughout the years, believing that their fresh brand of genre-bending pop would struck a chord with other music lovers as well. Now, Chester French's debut album finally is out and available. D.A. wrote a special note to celebrate this "most awesome day ever." Let's pop a Corona and celebrate Chester-style! "I've been meaning to write this email all day and have just now, an hour before we tape our performance on the Jimmy Fallon show, gotten a chance to steal a cubicle in NBC's offices and get it done! Make sure to catch our appearance on Jimmy Fallon at 12:35am tonight (11:35pm in the central time zone)," he writes. "To be totally honest, the album isn't a conventional major label release, and many have been skeptical of our putting out a project that we made totally by ourselves, in our dorm basement, without fancy producers and million-dollar budgets. But it was the album we wanted fans to hear, something into which we've poured years of our time and creative energy, and our bet is that music lovers like you will enjoy something as authentic and homemade as we've tried to make this!" True that, D.A! Do yourself one big, mighty favor today and buy "Love The Future." After years of waiting, my pals of Chester French are finally releasing their debut LP "Love Their Future" on StarTrak/Interscope Records. Head over to the Chester French webstore and pre-order right now. The guys are offering several special packages, including the "Endurance" package (includes a workout with the guys when they're in your town), a "Slumber Party" package (the guys will sleepover at your house with your friends for a slumber party) and "African Safari" package that will take you on an African Safari with D.A. and Max and a friend of your choosing. Check out a fun Q&A our pals of Chester French did with Chicago's The New Gay blog. They chat about their adventures at Chicago's Comfort Inn, the release of their upcoming debut "Love The Future," writing music, their genre-bending sound and much more. 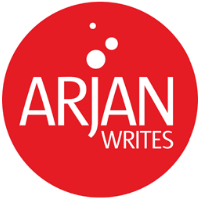 They also give a nice shout out to ArjanWrites.com that was one of the duo's earliest supporters. Thanks, guys! Looking forward seeing you next week. "Love The Future" will be out in download stores on April 21. Look at my pals of Chester French plastered on the window of the old TRL studios of 1515 Broadway in Times Square. So cool. Look out for their debut album "Love The Future" to drop next month. The guys are currently on tour with Lady GaGa. Make sure to check them out.